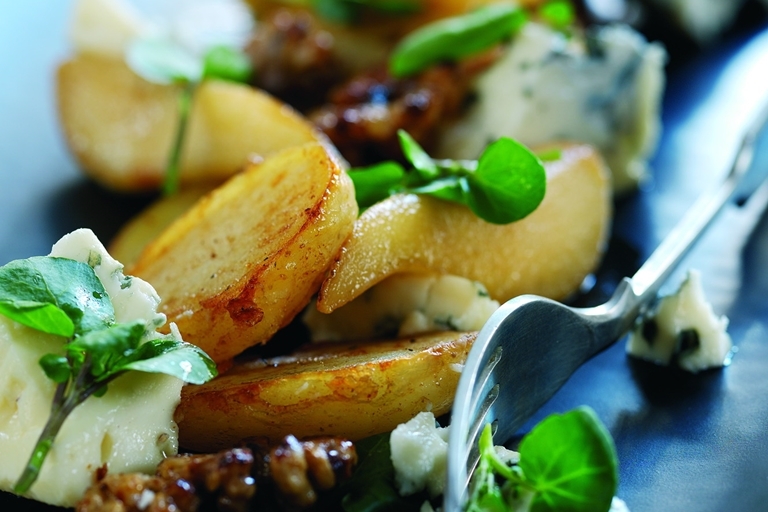 Leftovers get a glamorous reincarnation in this potato recipe from Shaun Rankin. Make this simple and quick salad using leftover boiled potatoes. Quantities aren’t too precise, making it easy to adapt using what you have. Have a look at our vegetarian recipes for a range of meat-free dishes.